Achieving the perfect eyebrows that have a flawless, face-framing arch can be quite a task. I personally am all for the Cara Delevingne, bold eyebrow look which has been trendy for a while and is showing no signs of passing. However, every once in awhile, I need to pluck out a few strays and I believe in using a reliable, high-quality pair of tweezers to make the job quick and less painful. 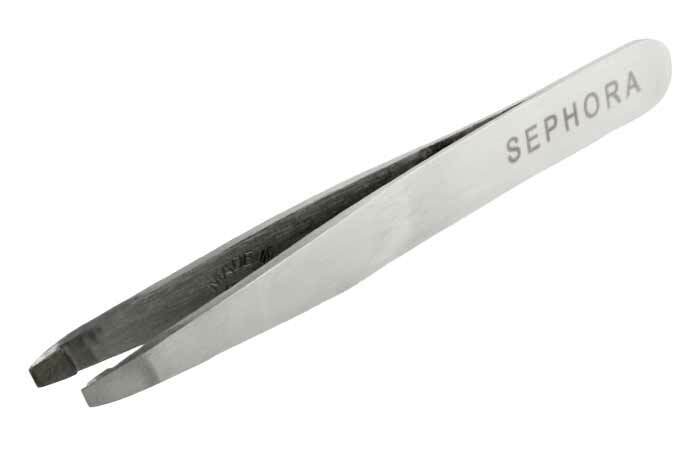 These are some of the most efficient and popular eyebrow tweezers out there and I’ve got their verdicts. 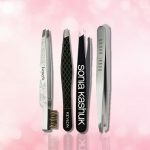 10 Best Eyebrow Tweezers For YOU! 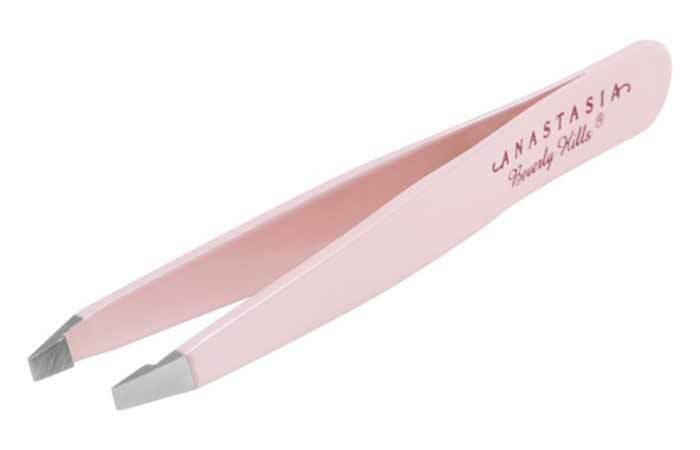 If you’re willing to make an investment in superior quality tweezers which would last you for a long time and effectively pluck out even the tiniest of eyebrow hairs, then Anastasia Beverly Hills’s tweezers is the way to go. They are my holy grail and I always successfully manage to get rid of those pesky little hairs that are barely peeking out of the follicle with them. I highly recommend trying this one out despite the high price. Now you can keep your strays away with this double-duty tool. The slanted tweezers are coated with diamond dust to firmly grasp and pluck even the finest hair. I like the tiny brush on the other end that perfectly tames and grooms my brows. These are really easy to use and reach even those tiny, hard-to-get-to hair. Priced at $20, I am quite impressed because good eyebrows are worth the investment. These are the perfect slanted tweezers for all you brow lovers. They feature a new and improved design that’s thinner and more precise. 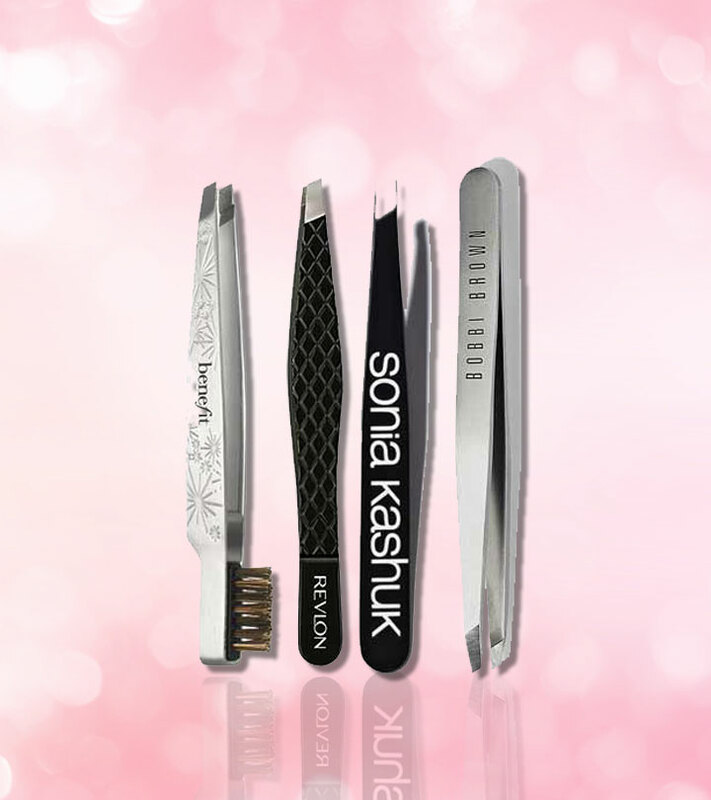 The tweezers grab the tiniest hairs, and their perfectly calibrated tension offers maximum grip with minimum force. I have been using these for a while now, and I love them! If you want a sleek and simple design with a high-quality feel, these are a must-have! 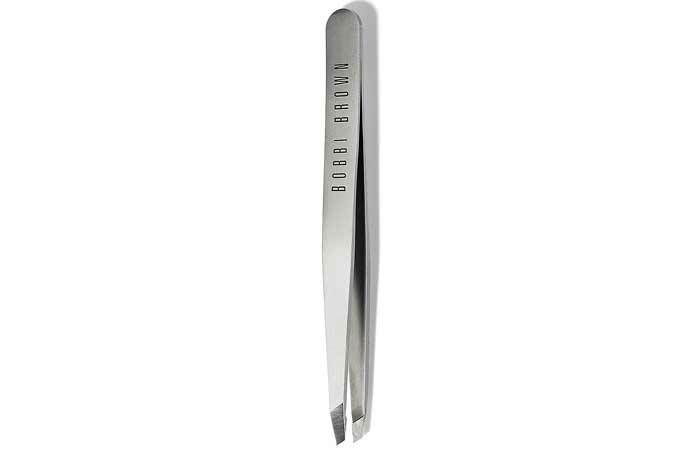 These Bobbi Brown tweezers are crafted by Rubis of Switzerland. In stainless steel, this slant-tip instrument sure is one of the finest on the market. The old saying that says “you get what you pay for” definitely applies for this because you’re paying $30 to get a long-staying, premium quality plucker that you can totally rely on. 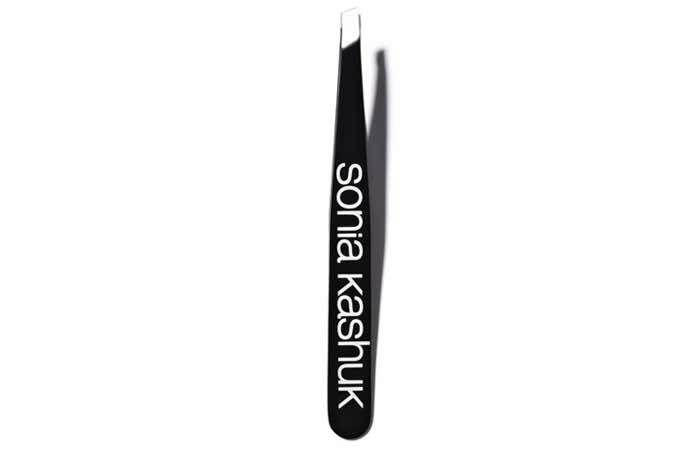 These tweezers get the finest eyebrow hairs with so much ease! This is a Best of Beauty winner chosen by Allure editors for ten years. I am impressed with the slant tips that provide expert brow shaping. These are perfectly aligned and slanted to grab every hair with the smoothest precision. So without any struggle, you can quickly pluck fine little hairs at home. Also, Tweezerman has great customer service! 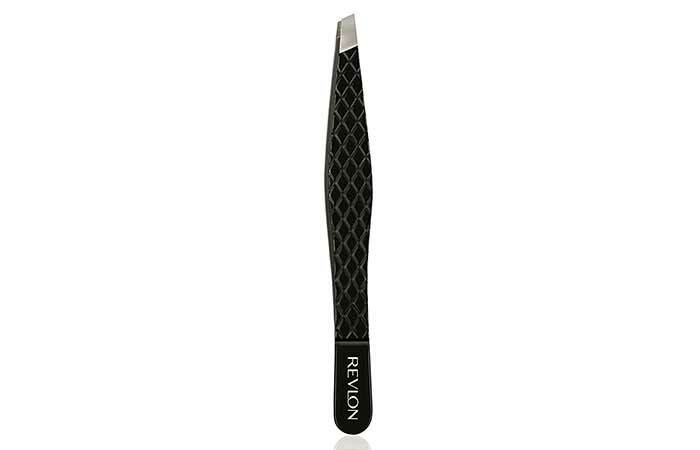 These tweezers by Revlon are sharp and easily grab the tiniest eyebrow hairs. They have a matte finish, which allows for a non-slip grip. I like the classic design with “Revlon” printed at the corner and the various colors to choose from. Also, they will last you forever as they are very durable. If you’re on a budget, these tweezers are the way to go. If you’re looking for precision with an angled tweezing edge, you will love this tool. 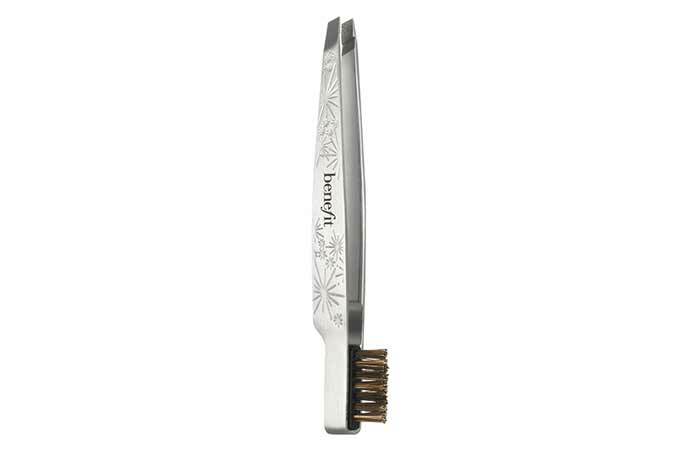 They provide excellent control as you tweeze even the tiniest hairs. I do find them to be quite durable and I enjoy the firm grip they have to offer. Definitely grab one of these when you have the chance! 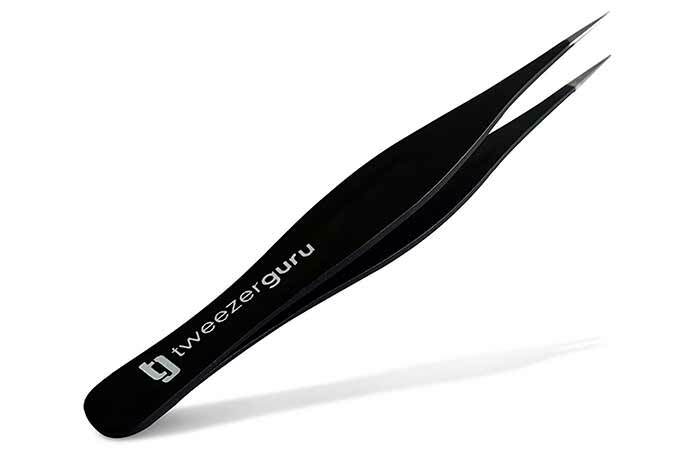 These uniquely slanted, stainless steel tweezers come with an ergonomic grip for complete control and easy handling. They also have hand-filed tips for precise removal of hairs. I feel, once you use these, it gets difficult to go back to traditional long tweezers because that’s how convenient these are. You can also use them to apply individual false lashes. Also, if your tweezers become dull over time, you can get them sharpened. If you’re going to be traveling, these are the perfect companion for your brows. You will be glad you stored these in your travel kit when you spot an annoying stray hair in the mirror. These are made of stainless steel and are highly durable and efficient. They are perfect for working in-between or above the brows. These tweezers from Tweezerman have been my savior. They remove anything embedded under the skin with their long pointed precision tips. When it comes to ingrowns, these easily spring out the hair by grasping between both tips. They are also easy to clean. I highly recommend these for every household! Quick Tips To Tweeze Your Eyebrows Perfectly! I do agree that plucking out eyebrows can be wildly satisfying for a lot of us, but I can’t stress enough upon how you should never, I mean NEVER, over-pluck your brows. If you believe that once you start, you might take it a little too far, stop right there! For those of you who are under control and need to get rid of a few stray hairs here and there, I’ve got some handy tips. The best time to pluck your eyebrows is usually right after a warm shower. If that’s not possible, try holding a hot washcloth over your eyebrows, wait for the area to dry and then go in with your tweezers because it just is a little less painful. You can also use some ice before or after the plucking process to keep the pain under control. 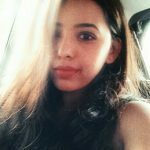 Hold the skin taut and make it quick – the quicker it is, the less painful it will be. Check out the tutorial on eyebrow tweezing for more details. Now that you’ve taken a crash course on the best eyebrow tweezers and tweezing the right way, may you never regret your decisions. Invest in proper tweezers and have them handy for those moments that you really need to get rid of some awful looking stray hairs. Do you have a personal go-to method or a pair of tweezers you swear by? Share with me in the comments section below.